It's commonly known that music downloaded from iTunes Apple Music in M4P format come with DRM, short for Digital Rights Management protection. So you are limited to play those M4P songs on Apple's devices only, like iPod, even though you are the owner of the songs. In this case, if you want to enjoy the M4P files on your own player, you need to firstly remove the DRM protection and convert the M4P music files into other formats, like MP3, AAC, FLAC or WAV, etc supported by your device. In this article, you are going to find the easiest way to get rid of DRM from M4P and convert M4P to MP3 on Mac. Before the introduction of the magic M4P Converter, you'd better take a look at the history of M4P Converter. First, many M4P Converter used virtual CD burner to realize it, a technology which is used in some DRM M4P Converter to make a virtual burner to cheat iTunes to burn the DRM protected M4P songs onto it so that you can convert them into regular MP3 format. 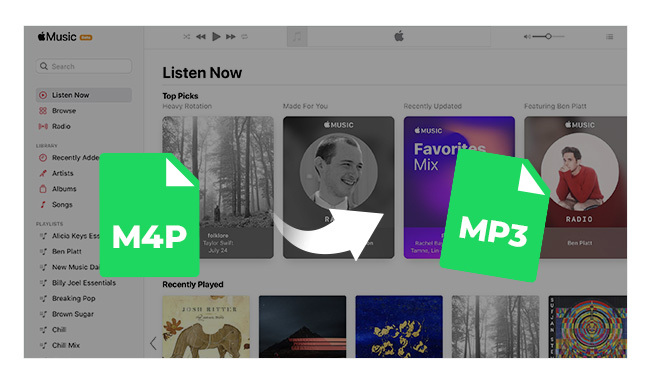 But, now there comes a more convenient technology to help you convert iTunes M4P music to MP3 easily and fast. This method enables you record the music in the background at 20X fast speed with lossless quality. Let's take a detailed look. One of the powerful software with such powerful technology is NoteBurner iTunes DRM Audio Converter for Mac. This smart M4P to MP3 converter is specially designed to remove DRM protection from M4P music as well as convert the M4P audio files into other formats compatible with the media player you use. With only a few steps, you are able to get your DRM-free music for playback. Once you downloaded the program, install and launch it on your Mac. Now you are ready to use it to convert DRM M4P to MP3 with only 3 steps. 1. 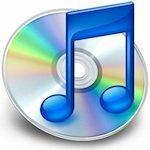 Add iTunes M4P music to NoteBurner iTunes DRM Audio Converter. 2. Click "Preferences" of NoteBurner DRM M4P Converter to select the output path for the converted audio files and output format as MP3. 3. Start converting M4P to MP3 by clicking "CONVERT" button. Once all the DRM M4P files are converted successfully, you can find the output files by clicking the History button. All IS Tags will be kept with the converted MP3 audio files. Now, you can enjoy the songs in any of your devices or burning them onto a CD for enjoying in car player, etc. Useful Tips: NoteBurner iTunes DRM Audio Converter can help you not only convert M4P music, but also convert DRM-ed Apple Music, Audiobooks. It integrates Apple Music Converter, Audiobook Converter and M4P Converter together. What's next? Download NoteBurner M4P to MP3 Converter now!